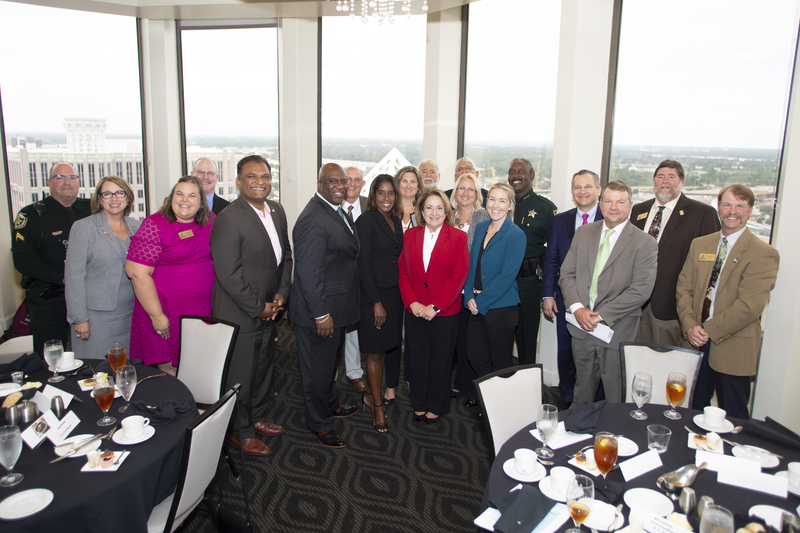 The Orange County Farm Bureau held its 2018 Elected Officials Luncheon at the Citrus Club on May 22. Every year, the Farm Bureau’s board of directors updates Orange County officials on the nursery industry, citrus harvesting and farm industry needs. Mayor Teresa Jacobs and members of the Orange County Board of County Commissioners joined constitutional officers and community leaders at the meeting, which provided insight on the future of agriculture in Orange County. The Orange County Farm Bureau assists in upholding the state’s reputation as a national leader in the agriculture and farming sector and is part of the Florida Farm Bureau Federation (FFBF). FFBF was founded to promote and protect the agricultural interests of farmers and ranchers as they work responsibly to provide an abundant food supply using Florida’s natural resources. As of 2015, more than 199,000 jobs in Orange County are related to agriculture, according to a study done by the University of Florida. Results show that nearly 19.8 percent of Orange County jobs are in an agriculture-related field, including those producing and processing goods. Ranked number 19 in the state, Orange County, specifically West Orange County, is a citrus industry leader. Orange County’s nursery, greenhouse, floriculture and sod industry are ranked second in the state and fifth in the nation.